While Mutant Mudds has been a solid hit on Nintendo's eShop, there are likely still some who are holding out for a demo. Well, your prayers have been answered as Renegade Kid has just announced that a demo version of the game is set to hit the North American 3DS eShop this Thursday. You can check out the official press release below and if you haven't already, be sure you read our Mutant Mudds review to find out what we thought of the game. Today, Renegade Kid announced that the demo for Mutant Mudds, the critically acclaimed 12-bit platformer, will be available on March 29, 2012 through the Nintendo eShop on Nintendo 3DS™. Founded in 2007 by Jools Watsham and Gregg Hargrove, Renegade Kid™ is an independent development studio based in Austin, Texas. A developer of handheld video-games, Renegade Kid™ is known for its award-winning titles on the Nintendo DS™, including the Dementium™ series, Moon, and ATV Wild Ride™. 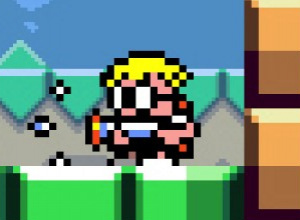 For more information on Mutant Mudds, visit www.mutantmudds.com. Why am i considering getting this if I already have mutant mudds? @Knuckles, I'm getting it even though I own the game. I want to see how much the menu extends since I've got a huge SD card. Awesome!! Been wanting to check out this game but didnt want to pay for it and than not like it. Ok, I'll try it. See if it's worth the $9. seems kind of pointless to put a demo out AFTER a game has been released. I already bought it. Still, I don't even need a demo. Hey, what about Europe? We do not exists ?! About time we get a demo. We're so behind Europe it's ridiculous. Nice, I'm on the fence about this game so a demo would be helpful! Cool how even eShop games get demos now. At least we get some crap game gear games in U.K this week! EUROPE!!!!!!!???????? I ask this every time there is a mutant mudds article, I guess no-one has the foggiest about a release date for europe....? (Hates that the Dead or Alive Dimensions demo isn't out in America yet). Looking like tomorrows update is shaping up to be a good one for us. @Kholdstare The menu doesnt get 120 spaces UNTIL you download soooo many games. I might have had 40 out of the original 60 filled up when my menu extended. Looking forward to trying this demo. Could be the deciding factor in finally purchasing this game. I hope this demo convinces many people to go and buy this golden diamond, something that should've already been done. I've just finished Mutant Muds at 100% yesterday! I bought this game last week, it's awesome! If you are on the fence, download the demo try it out and you will know that it is a fun game! This game is AWESOME!!! Skip the demo and just get it. The music alone is justification enough. It's a great, but hard game. @Shock_Tart: Not really there are some people like me who wont buy this game until I played a demo. I have been stuck with games that I have bought from the eShop that I wish I played a demo before buying it and wasted my money. I mean think how many sales now the game will get because people will be able to try a demo and from there be comfortable to buy the full version now. This is news I like. All demos are welcome and this game gets raving reviews, so I want to try it. Something like Crush3d was interesting but not enough to take the plunge, so I am glad I could try it out first. In fact eshop games should be the ones where demos were mandatory, as it is much harder to try the game unless you have a friend who bought it. With that I mean that it is easier to try out retail games at a store. Now where is our Mighty Switch Force demo? I am still waiting for the European release! Cool, I've been holding back on buying this game for sometime. Now with the demo at hand I'll know if this is worth buying. Nice, I've wanted to try that game but never felt a standard looking platformer was worth the nine bucks. Do you own Super Mario 3D Land? If so, you already likely spent more than 9 bucks on a "standard looking" platformer. If you don't play a game because it's hard, you are NOT FULLY ENJOYING LIFE. Did you know that during the days of the original NES, every game was incredibly hard? But everyone who was a kid during those times looks back on those games fondly, even though they probably never beat them. Because the main point of a game isn't to beat it. The point is to have fun. And games like Mutant Mudds are amazingly fun. A lot of my favorite games of all-time, I've never been able to beat!! But I keep coming back to them year after year. NOTHING adds replay value like difficulty. It should be the #1 thing people look for in a game. Even if you can only beat the 1st level of a good game, it's fun! Enjoy it. Play it over and over. You know, right before this game came out I had already purchased a 7.99 game and a full cartridge game $30.. So I did not purchase Mutant Mudds even though it's got a huge retro feel (seemingly) and I normally would have downloaded it, I guess I was just looking for a reason NOT to shell out more money. LOL. But upon hearing everything here, and downloading the demo the other day for this (my first Demo download) I have to admit it has grown on me and I will be purchasing it soon! Thanks for all the reviews and impressions, guys.